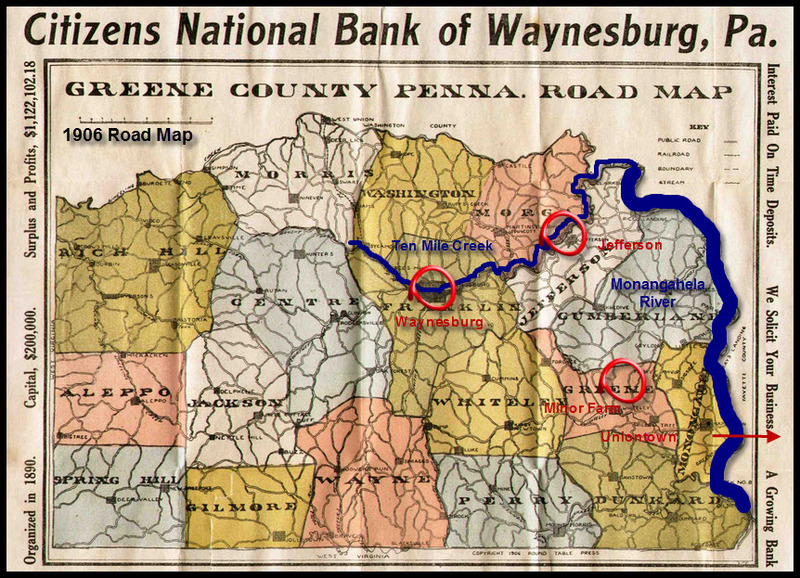 1906 GREENE COUNTY PENNSYLAVANIA ROAD MAP. Citizens National Bank of Waynesburg, Pa. Copyright 1906 Round Table Press. Accessed July 21, 2011 on Harold Cramer's website http://www.mapsofpa.com/roadgen0.htm.